Horror – the genre has been around since the movie industry started, because who doesn’t love a good scare, right? Guess what. There are also horror comics, and they have been around a long time, too. 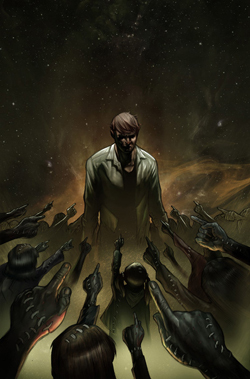 The problem with horror comics is the exact same problem that horror movies have. There are so many of them made all the time, and there is no way to tell whether or not they are going to be awesome or terrible. That is where I come in. Now you’re asking yourself why this little wandering chick is qualified to give recommendations on these comic books, and once again, the answer is very basic. Because I love them and am passionate for them, I am more qualified than the people who will rip them apart over technicalities. Actually loving something appreciates it in all forms. This doesn’t mean that I won’t be upset over changes in mythology or have negative opinions. It simply means that I am coming from a place of positive thoughts for this genre. I want it to succeed and want it to be good. Every month, on the spooky day that is the 13th, I will be spouting opinions, and possibly telling stories, about the wonderfully frightening world of horror comics. Now for the books, because that’s really why you’re reading this article to begin with. 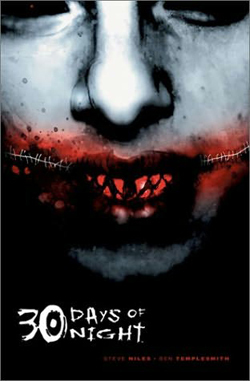 Obviously, I think that this month you should pick up 30 Days of Night, because if you haven’t read it yet, you should definitely try and see where I’m coming from with my love for it. Speaking of Mr. Niles, he has been teaming up with longtime pal, Bernie Wrightson, to write some truly spectacular character based pieces through IDW. I’d start with The Ghoul and Dead She Said before moving onto Doc Macabre (they like to reference one another). Niles’ Edge of Doom might be the creepiest thing I’ve ever read. It truly made my skin crawl. I could write an entire article just based on those books. 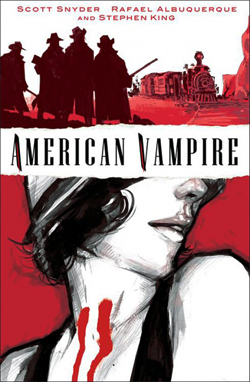 Moving on from one master to another, I’d like to recommend picking up the first trade of American Vampire. Stephen King wrote a storyline for a while, which appears in the first volume. If there’s anyone who can make my skin crawl more than Niles, its King. Now, don’t think I’m knocking creator Scott Snyder, he holds his own against Mr. King (a feat I truly wish I could accomplish). The thing about American Vampire is its intricacies. It’s a carefully woven web of time and character and plot and scares. They never go overboard and always lean towards the shudders and chills, which is a lovely and welcomed change from blood and gore – which they have in spade workings with vampires and all. The point is that they go for the psychological scare just as often as the biting and feeding scares. It’s awesome. Lastly, I want to recommend the best thing in horror that is currently on the shelves – Echoes by Joshua Hale Fialkov. The third issue was just released on February 23rd, so pick it up! It is amazing. The creator loves to mess with the reader’s head to the point where I am starting to question the book’s truth. Let’s put it this way, what if everything you thought you knew about your family wasn’t true? All the happy memories were tainted with this shadow that you never knew about, and on your father’s death bed, he gives you a clue. That clue is something you think will help you know who your father really was, and it does. However, the clue, rather than paint your father as the good man you thought you knew, leads into the darkest place you can imagine and now your life, your childhood, everything you know is erased. Oh, and you might be repeating you father’s mistakes and crimes all while having a pregnant wife at home. It’s so rich. I am constantly on the edge of my seat while I have it in front of me. There’s nothing like it on the shelves right now. Read it! And so I bid you farewell for this month. I hope you have enough ghouls and ghosts to get you through the month. If you have anything you want me to read, I’m always looking for a good scare. Also, I am full to the brim with good recommendations of my own, so feel free to e-mail me here. Thanks for facing the fear with me. I hope I give you only the worst nightmares.